There had always been a soft and slightly twisted part of my heart that loved the eerie, the delightfully creepy, and the suspenseful. It’s not like I had this deep-seated obsession with horror movies or an unhealthy fascination with the macabre — no, I mostly just liked the idea of something being so unearthly that it sent prickles up your spine or that something could be so bizarre and awe-inspiring that it filled you with a mixture of glee and cold, run-for-it panic. Yesterday nature was confused as to whether it was ready to grow into its big boy March pants or revert into its temperamental Ice Age. This created a dilemma between the cold and warm air, and the rising tantrum resulted in fog. Lots and lots of pea-soup, fleece-lined, cotton-candy fog. At 5:30 I locked up the house, got into my car, and began the commute to my music school, just like any other Wednesday. As I descended the hill out of my neighborhood, I sunk into a fog so thick that I could barely see the yellow line on the road. It was slow driving from there, and to relax myself, I turned on the radio. It was the classical and jazz station — no harm there, right? Just some nice, soothing Bach or Rossini. Ha. Ha. Aha-ha-ha. When I turned up the volume, I was met with a chilling scream and crescendoing notes, all in discord, screeching against the ripple of thunder. My knuckles instantly tightened, and I hunched forward as I tried to make sense of what my ears were picking up. Turns out, the classical and jazz station was having a horror movie soundtrack special, complete with ghost wails and creaks and moaning waterphone cacophonies. The mood in my little car on that winding, murky road changed abruptly. 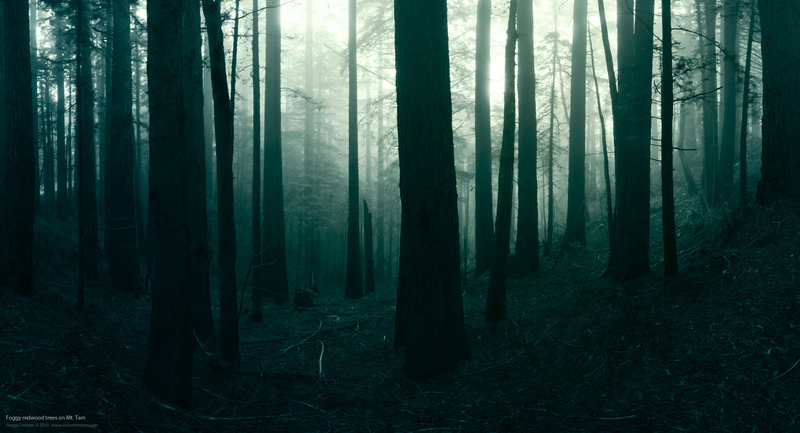 Suddenly I was hyper aware of the black silhouettes of every branch and bramble, each clawing finger that poked through the fog, straining towards my car. I could see the channels of mist that hugged the road, snaking in and out between the wheels, and the shadows that formed when the smoke lapsed and the moon loomed overhead. A ghoulish sigh, the anxious spiccato of violins, a foghorn’s lament, the shatter of glass, the childish tinkle of a vibraphone… I drove sitting on the edge of my seat, willing myself to focus on the road ahead and not stray to the demon eyes that glowered from the trees above or the hulking shadow in the side mirror that stalked my car from behind. After about five minutes, the music switched to a Chopin piano concerto, and the legions of ghosts and living dead that marched on the woods around me melted away. I breathed a sigh of relief, and drove on.